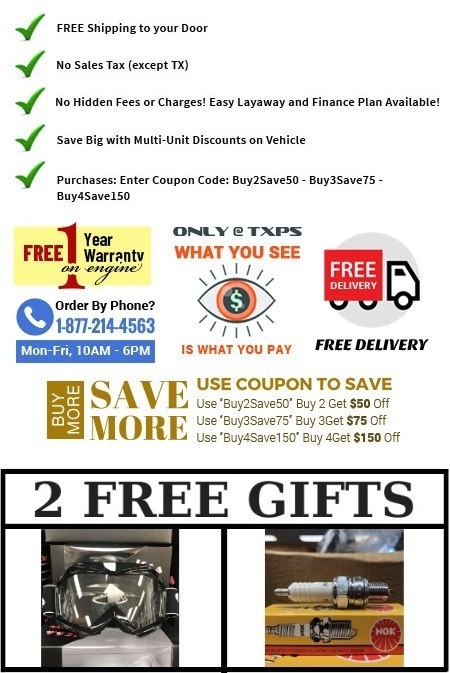 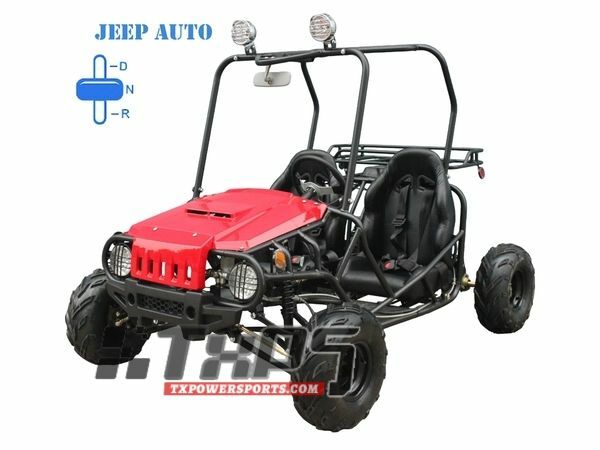 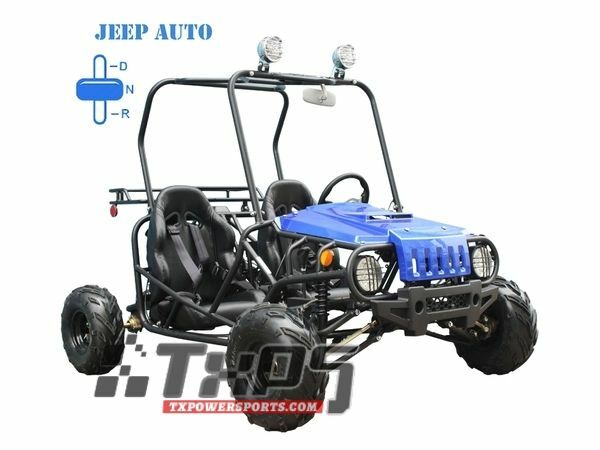 TX Power Sports offers a variety of cheapTaotao Jeep Auto Style, Air Cooled, 4-Stroke, 1-Cylinder, Automatic With Reverse go carts that are perfect for kids. 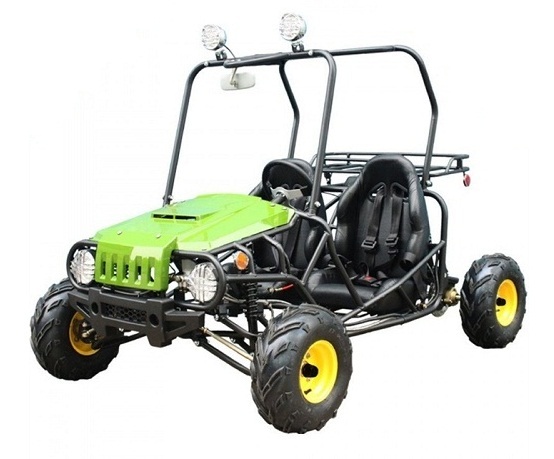 This go kart is especially great for a child that is a beginner rider. 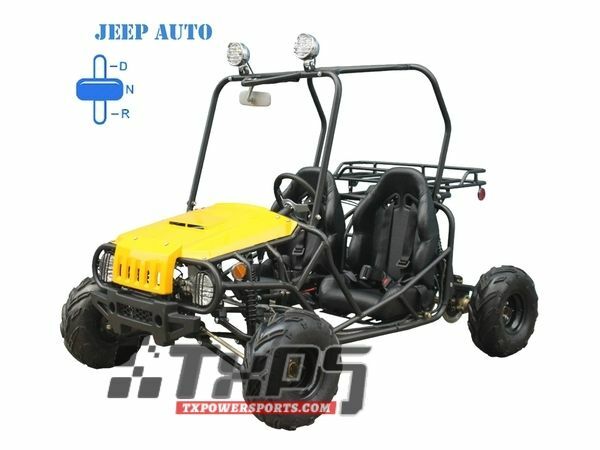 Our TAOTAO JEEP AUTO GO KART for cheap are automatic w/ reverse, which makes learning how to drive simple. 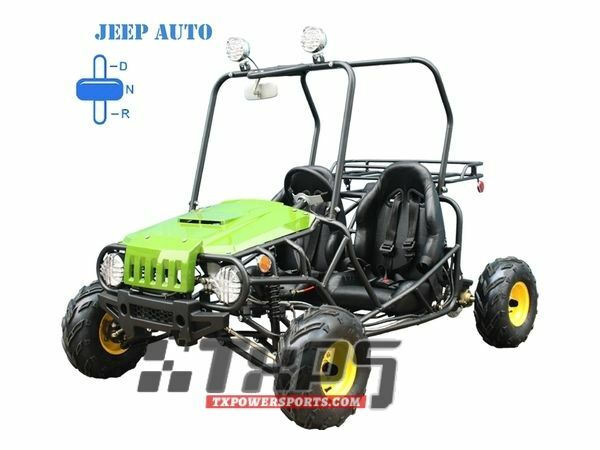 They have an electric start and come with a horn and lights. 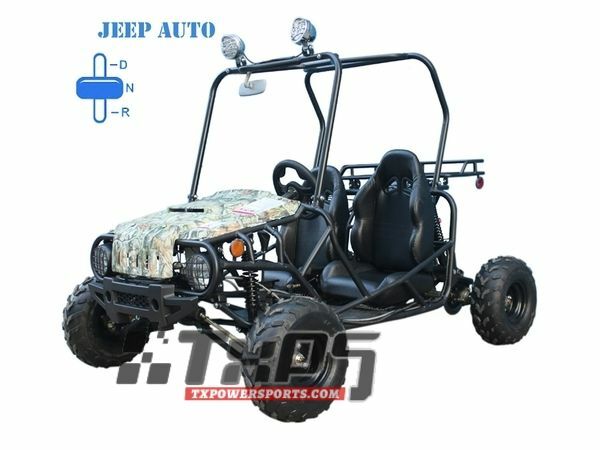 They also have shoulder seat belts for safety and a big 5 AMP battery. 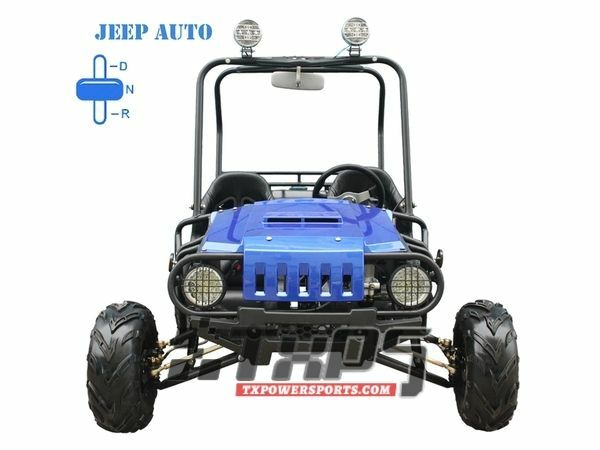 These Chinese Taotao Jeep Auto Style, Air Cooled, 4-Stroke, 1-Cylinder, Automatic With Reverse are some of the best ones on the market and they are super affordable.